Cereal, mayonnaise, mustard, ketchup, salad dressing, applesauce, canned fruit or vegetables, macaroni and cheese, canned chicken, toilet paper. 4 GAHS friends (Paige, Hannah, Alivia and Breaca) had 16th birthdays within two weeks of each other and decided to do 1 large party. 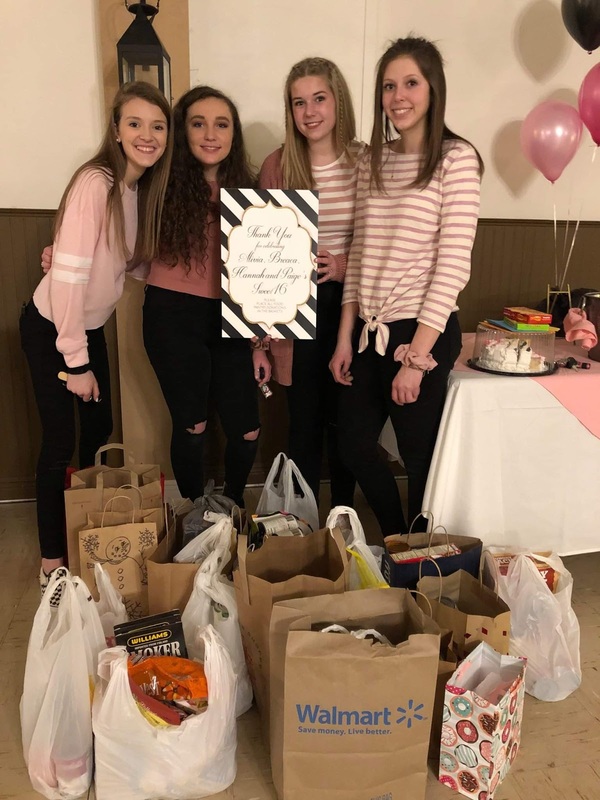 Instead of gifts they decided to ask for food pantry donations. We were touched by the youth who attended and brought bags of items. We hope it will be helpful to the food pantry. ANY non-perishable foods are welcome. The Greencastle-Antrim Food Pantry is a 501(c)3 organization that continues to serve over 100 families each month. If you choose to make a monetary contribution to the food pantry, please make checks payable to the GREENCASTLE-ANTRIM FOOD PANTRY. 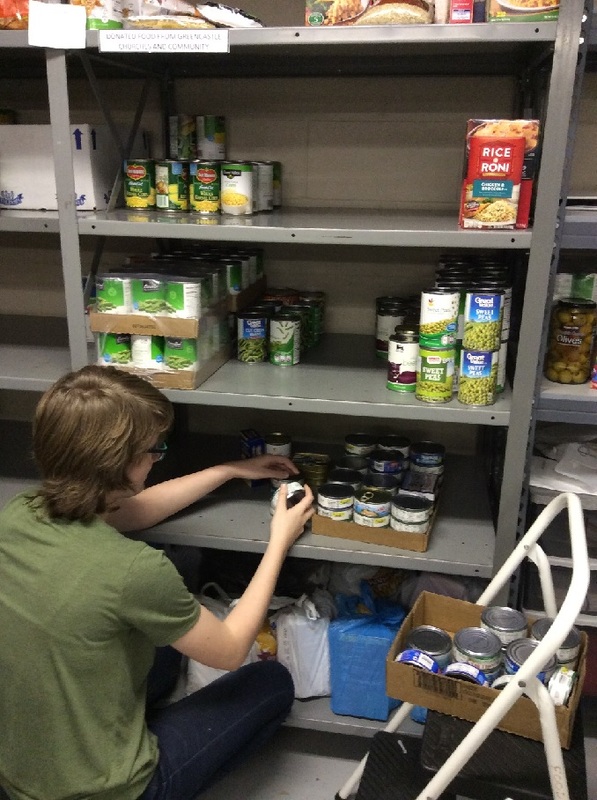 Thank you for the generosity you show to those who rely on the Food Pantry to help feed their families. Monetary donations are used to provide meat on a monthly basis. all donations, whether monetary or food items are greatly appreciated and are tax-deductible. For more information or questions, contact Barbara Grane at 717-762-8693 or via e-mail at gafoodpantry@gmail.com.